Nobody wants to drink their own processed urine like Kevin Costner did in Waterworld. Lord no, that's disgusting. 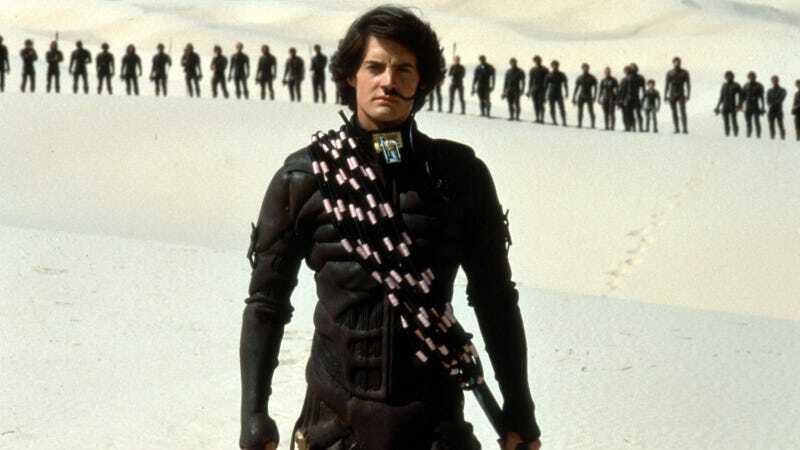 But drinking your own sweat like Kyle MacLachlan from Dune, now that's the ticket. And with the help of this new distillation device, people living in even the most parched environments will have easy access to potable water derived from their own bodily fluids. Simply dubbed the "Sweat Machine," this device distills water from sweat-soaked clothes using a technique known as membrane distillation. "They have something similar on the [International] Space Station to treat astronaut's urine—but our machine was cheaper to build," the device's inventor, Andreas Hammar, told the BBC. The machine first spins the wet clothing in a centrifuge (aka a washing machine's spin cycle) to extract the fluids from the clothing. The sweat is then heated and distilled through a newly-developed distillation membrane developed by HVR. Water to be purified is heated and circulates in the middle of the cassette between the two membranes. The other sides of the membranes are cold surfaces. The difference in vapor pressure between the hot and cold side forces the water molecules through and only these due to the membrane design. When the water molecules reach the cold side of the membranes, the molecules condense and the purified water runs down to a receptacle. The result is the absolute separation of all non-volatile substances. Indeed, Hammar touts the purified water as being cleaner than that from a tap. To prove it, as well as raise awareness for UNICEF's efforts to bring water to some 780 million thirsty kids worldwide, Hammar set up a demonstration in downtown Gothenburg, Sweden for the Gothia Cup, and has handed out over 1000 cups of processed sweat since last week.